Nuts 101: Which Nuts are Best for You? 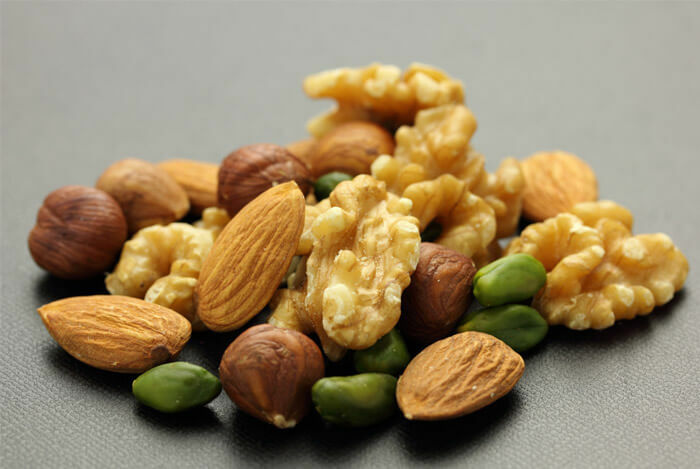 With so many varieties of nuts around, each touted to be the healthiest, which is the best nut to choose for overall health? It’s a confusing subject, which is why I’ve put together this helpful guide to navigate you through the crazy world of nutritious nuts. America’s most popular nut, almonds clock up around 162 calories per ounce (or 23 kernels) – which is generally considered a serving; along with 14 grams of fat, 3 grams of fiber and 6 grams of protein. They’re also rich in vitamin E (containing 37% of your recommended daily value) – something the National Institutes of Health says plays an important role in immune function and has distinctive and proven antioxidant activities. 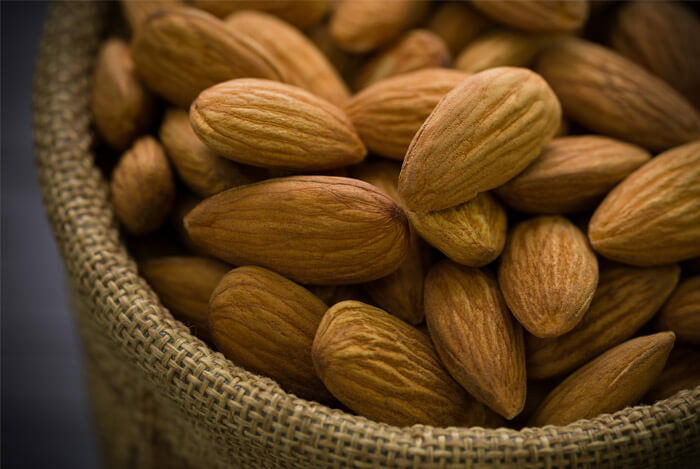 Almonds also pack in a decent dose of magnesium (19% of your recommended daily value – RDV), which is vital for a huge number of bodily processes. An ounce of Brazil Nuts (roughly six kernels) contains 185 calories, 19 grams of fat, 2 grams of fiber and 4 grams of protein. Brazil nuts can improve high blood triglyceride levels, which can be a risk factor for cardiovascular disease. 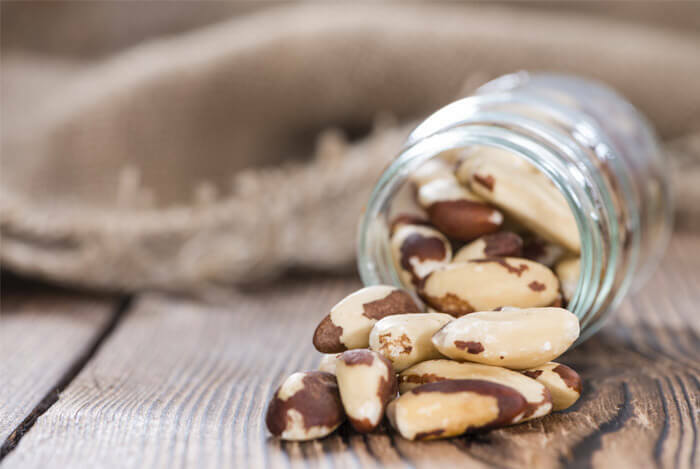 In one study, it was found that a single serving of Brazil nut can significantly improve the serum lipid profile of healthy volunteers. 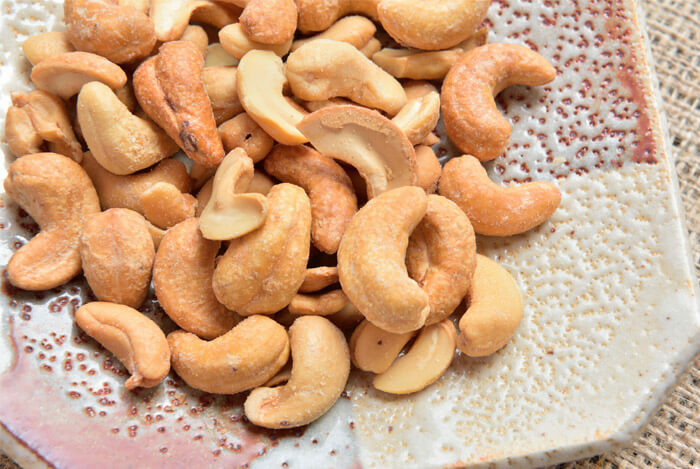 Crunchy cashews provide 155 calories per ounce (17 cashews), 1 gram of fiber and 5 grams of protein, along with 31% of your copper needs, 23% of manganese and 20% of magnesium needs. While raw cashews are healthy, there is some evidence to show that roasting the nuts (and the thin skin between the nut meat and the shell, called testa) actually produces higher levels of beneficial nutrients. 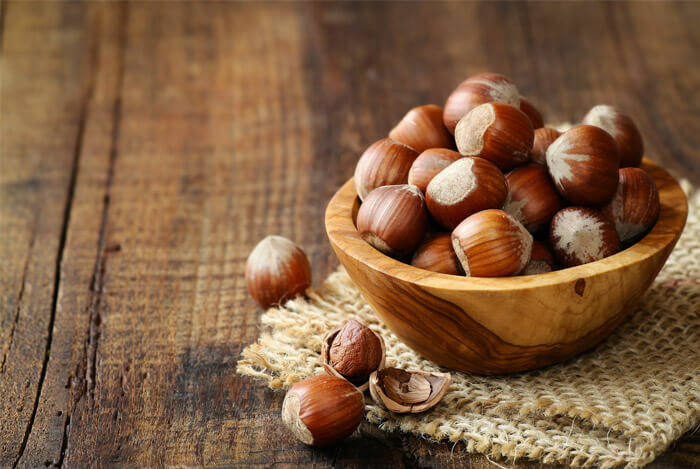 An ounce, or 21 nuts, packs in 177 calories, 17 grams of fat, 3 grams of fiber and 4 grams of protein, as well as 87% of your RDV of manganese, 24% of copper and 21% of vitamin E.
You’ll notice that hazelnuts pack in a lot of manganese, something which is necessary for normal brain and nerve function, and plays a role in fat and carbohydrate metabolism, calcium absorption, and blood sugar regulation. 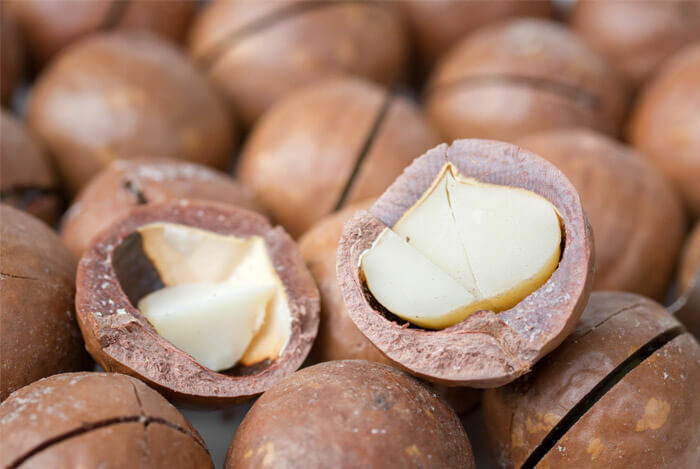 Bite-sized and almost buttery flavored, macadamia nuts are another popular choice. Just 10 to 12 kernels (an ounce) can provide you with 203 calories, 21 grams of fat, 2 grams of fiber and 2 grams of protein. They also give you 50% of your daily dose of manganese and 23% of thiamin – a B vitamin that helps us convert food into fuel and improves the body’s ability to withstand stress. While macadamia nuts are one of the highest-fat nuts you can eat, most of the fat is the monounsaturated kind (MUFA). According to the Mayo Clinic, MUFAs can lower your risk of heart disease by improving cholesterol levels and blood vessel function. They may also be beneficial in controlling blood sugar and insulin levels. That’s higher than the levels found in olive oil, which is repeatedly cited as an excellent source of MUFAs, yet it contains just 55% to 83% monounsaturated fats.. 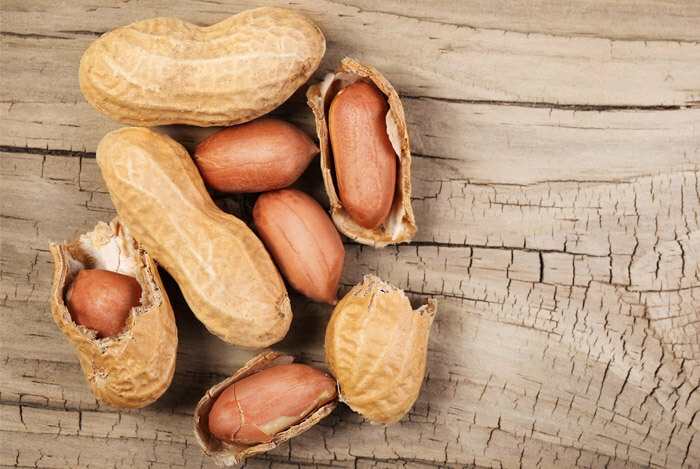 Despite their name, peanuts aren’t technically nuts…they’re legumes! Unlike the other nuts on this list, they grow underground. But since most people consider them to be a nut, I’ve included them here. Studies also show that regularly eating peanuts can reduce the risk of gallstones in both men and women. An ounce of peanuts (28 nuts) has 164 calories, 14 grams of fat, 2 grams of fiber and 8 grams of protein – making these faux-nuts the most high-protein nut of them all. You’ll also be getting 29% of your manganese needs and 19% of your niacin needs. Also known as vitamin B3, niacin is important for general good health, including heart and brain health. 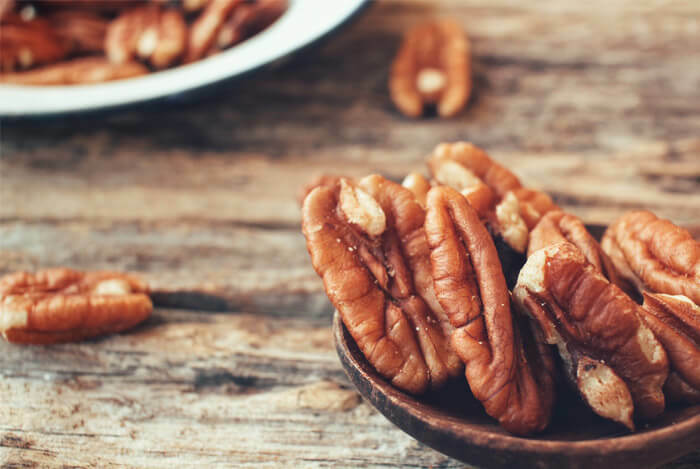 A popular nut in desserts, particularly when paired with maple syrup, pecans have a decadent and rich flavor. An ounce of them (19 halves) will give you 195 calories, 20 grams of fat, 3 grams of fiber and 3 grams of protein along with 64% of your daily manganese needs. Researchers believe that they could play a role in delaying progression of degenerative neurological diseases like amyotropic lateral sclerosis (ALS), also known as Lou Gehrig’s disease. 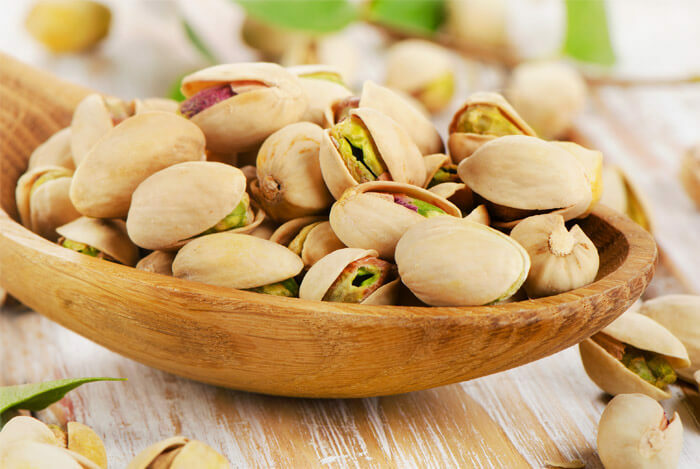 An ounce of pistachios (49 nuts) clocks in at 161 calories, 13 grams of fat, 3 grams of fiber and 6 grams of protein. They also boast almost a fifth of your daily allowance of copper, manganese and vitamin B6. 2009 research by the University of Texas M D Anderson Cancer Center found that eating two ounces of pistachios daily may reduce the risk of lung cancer and other cancers. If you’re looking to satisfy your hunger, but watching your weight, pistachios could be a good choice of nut for you. You get to eat almost 50 nuts for just 161 calories. 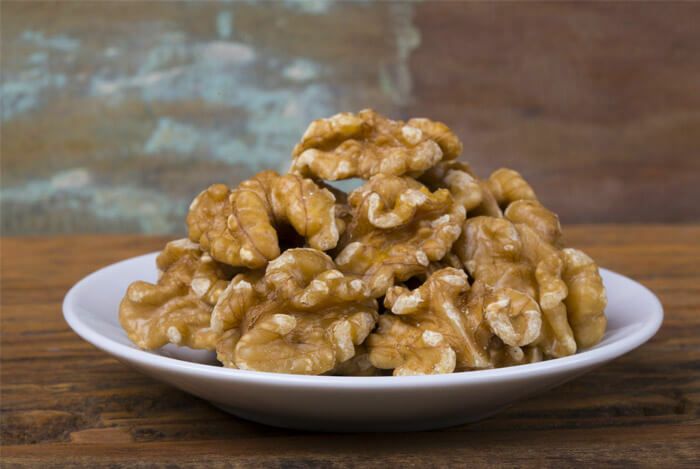 One ounce of walnuts (14 halves) contains 183 calories, 18 grams of fat, 2 grams of fiber and 4 grams of protein. You’ll also be getting 48% of your daily requirement of manganese and 22% of copper needs. Walnuts are also rich in the plant based omega 3 fatty acid ALA, with a quarter cup containing more than your recommended daily value. Just like general nutrition, when it comes to nuts variety is key – at least according to a 2004 review in the Harvard Medical School Family Health Guide. The guide concluded that mixed nuts, mainly raw and unsalted, provide the best variety of nutrients and antioxidants to meet all our health needs. What’s your take on nuts? Have anything else you’d like to share? Let me know in the comments below!